Ever Wonder Why you feel the way you do? How hormones are affecting your body? What to expect next with your health? How women overcome life’s challenges? How to manage health & wellness with an "on the go” lifestyle? As young girls enter puberty, it's important for them to understand what happens to their bodies as they become young women. Research shows that while young women feel they learn about the menstrual cycle from their mothers, research also shows that most mothers do not have knowledge of the menstrual cycle. Mothers should be prepared for the time when their daughters come to them for information about this life-cycle change. 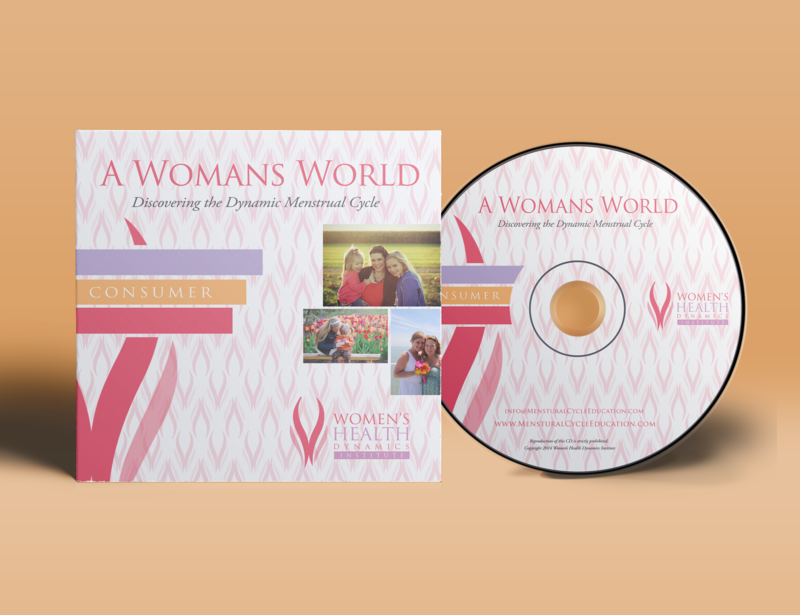 This CD will help mothers to start this important conversation with their children, so that they can provide them with the information they'll need during puberty and beyond. For mature women, the years before menopause can be a challenging and emotional time. A Woman's World: Discovering the Dynamic Menstrual Cycle can help women navigate this life-changing experience and be better prepared for the changes to come as they enter the unchartered phase of perimenopause and, finally, menopause. Knowledge of the changes taking place within her cycle can alleviate a woman's fears and facilitate informed healthcare decision-making. • Cross word puzzles, word games are included with this module. See Testimonials tab for reviews!